Johana Bhuiyan wears a long white skirt. Her hair and neck are wrapped in a pink and white hijab falling over a long sleeved white shirt. Shell-pink shoes finish the look. "A few years year ago it would take me ages to put together an outfit," confesses Bhuiyan, 16, from Queens. "Now it takes a few moments." Baggy jeans and loose shirts are old news for Muslim girls like Bhuiyan who, are mixing the Islamic dress code with in vogue. The element of élan and savoir-faire cannot be missed. Ausma Khan, editor of Muslim Girl, a magazine for Muslim teens in the United States and Canada, says, "In America we're seeing an evolution where the governing principle of modesty remains the same, but at the same time it is incorporating contemporary styles of dressing." This fusion is bringing more Muslim girls within the fold of the Islamic dress code rather than westernizing them. Colorful hijabs, printed skirts, full dresses, knee length outfits with jeans and wide-legged pants are part of the ensemble. One easy way of achieving variation is wearing clothes in layers -- a shapely and shear garment over concealing material. Balancing the religion and fashion equation is a challenge. "It gets complicated mixing Islamic tradition and western fashion when you come from religious families," says Bushra Chaudhary. After spending years in school wearing an "Islamic uniform" the 20- year- old makes a big effort to look good in college despite strong opposition at home. "You get sick of standing out and just want to blend in and look good," she says. Chaudhary, who loves shopping at Union Square Park, admits that dressing up for Muslim girls involves being creative everyday. "Since there is nothing being designed specifically for us the key is to mix and match." i'm a french muslima who love your blog. And thank you because by reading it, i can improve my english. i have a blog in french but with beautiful photography! So wonderful to see young Muslimahs so committed to following Islam. It is difficult to find comfortable...COOL (regarding lightweight, breathable materials)clothing for summer. 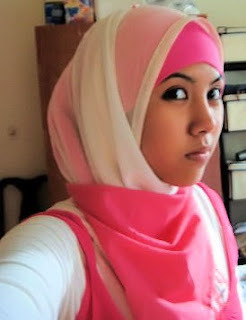 this will be my first summer wearing hijab and am looking for all cotton square scarves..not that many to be had. Any suggestions on keeping covered AND cool? im a 13 year old muslim girl living in canada, i wear the hijaab but im peer preasured by my friends to go behind my parrents back and take it off, so far i havent ever done that but its really tempting because i dont look good in a hijaab and since im only 13 my looks mean alot(i know it shouldnt but i grew up in canada)my parrents dont have the time or the money to take me shopping. so i cant buy all the fashionable clothes or the things that are "in",i was wondering if there are ways i can look good wearing a hijaab that wont cost alot of money and i would really appreciate it if you put fashion things up for teenage muslim girls. thanks for taking the time to read my comment, have a good day. Thank you for your comment. I started wearing hijab when I was 13, so I know just how hard it can be. Have you tried talking to your parents about the peer pressure? You might think they don't appreciate what you're going through, but more often then not they will be understanding, it just depends on how you approach them. Secondly, I don't believe you need expensive clothing in order to be stylish. And at your age, you're still growing so your clothes won't be lasting that long anyway! I don't know what sort of shops are available in Canada, but keep an eye out for sales and special offers. Try out the different styles, layer hijabs together, add in headbands and clips to accessorize! My name's Johana Bhuiyan. I just stumbled on your blog when i received the news of this article being published. I really appreciate you hosting this article on your blog. I'd love to answer any questions that anyone might have regarding hijab and how to "make it work" for younger girls, or if anyone has questions in general. I recently organized a fashion show, as it states in the article, that i would also love to answer any questions about. If anyone needs help organizing events such as that I'd be more than happy to help also. I find that when it gets warmer in North America, the best kinds of clothes that work are the kurtas and pants/pajamas from South Asia. If the material works in Karachi where it's so humid it works wherever else it gets warm. Lawn which is a lighter form of cotton works really well :).